Ready Steady School is a Derbyshire based business founded by highly experienced early years teachers- Jo and Lisa. We are passionate about our product and after years of advising parents on how best to support their child at home we are proud to be able to continue offering this service to a wider audience. Many schools now recognise that education is a partnership between parents/carers. Enjoy learning together! Jo and Lisa were delighted to receive the official endorsement of Dragon’s Den star Theo Paphitis when Ready Steady School became one of the winners of ‘SBS’ Small Business Sunday in October 2017. Winners also of Early Years Hour, Women in business, Queen of Educational Resources and Bright Pig awards. 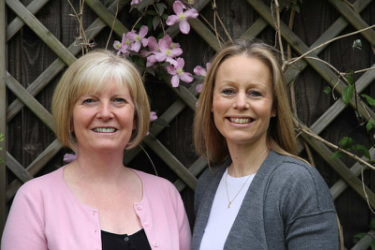 Jo and Lisa write regularly for the family column in The Yorkshire Times. Our mission is to help every child develop the necessary skills to feel smart and confident from day one at BIG school. As two highly experienced Early Years teachers we have witnessed first-hand the challenges children face. That's why we are now on a mission to share our tried and tested experience of learning and development to enable every child to get the most out of their early years at school. Before starting school, building basic skills by practising simple everyday tasks can help children develop confidence and independence. Also, learning some letter sounds and numbers builds a good foundation and ensures a flying start at school. Ready Steady School have developed a personalised Starting School box, a Letters and Sounds box and smaller resource packs to enable mums, dads and grandparents to support and guide their little ones as they fulfil very specific learning tasks, develop lifelong learning skills and build positive attitudes to achieve that smart and confident start.